British brand Cowshed is one of the first brands to have specialized in the use of 100% natural essential oils. 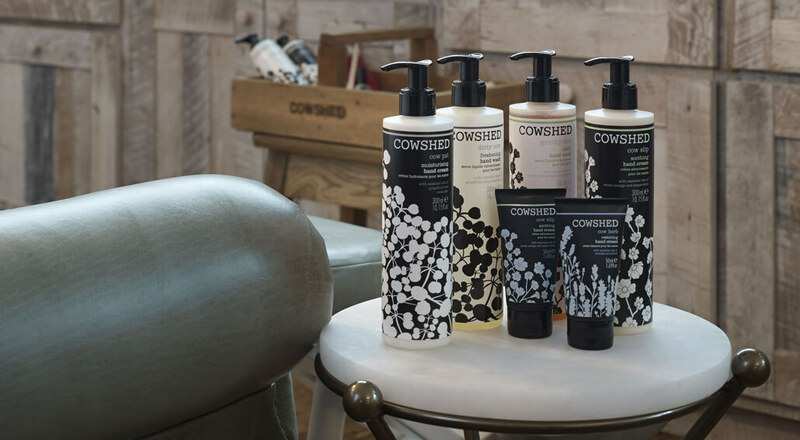 Cowshed’s products are renowned for their aroma therapeutic properties that promote the well-being of body and mind. Wild Cow, Horny Cow, Lazy Cow, Moody Cow: you’ll fall instantly in love with Cowshed, even if it’s only for its comic names. But that’s where the comedy stops, because when it comes to body care, this brand is nothing less than super serious. Originally developed for visitors to the spa at luxurious Babington House in the UK, the brand is now a part of the luxury Soho House hotel chain. Cowshed is one of the first brands to have specialized in the use of plants, herbs, 100% natural essential oils, proteins, amino acids and vitamins in its products, which are now renowned for their aroma therapeutic properties that promote the well-being of body and mind.